No, I’m not saying you smell. I’ve been reading You: Staying Young, and this is one of the health tips offered, so I thought it might be a good idea to talk about the difference between deodorant and antiperspirant. Sweating is normal, natural, and good for you. It’s one of the ways your body releases toxins. Don’t inhibit it. Antiperspirant does just what it’s name says — it inhibits sweating — often through ingredients like aluminum salts, which may or may not be a health issue, depending on which reports you read. Deodorant is the way to go. It lets you sweat, but helps stop odor by controlling bacteria growth in your armpit. The added bonus is that it’s easier to find a natural deodorant without a bunch of scary ingredients (like talc), than it is to find a natural antiperspirant. Tom’s of Maine has some good deodorants, and Desert Essence deodorant uses tea tree oil to combat odor, although both contain propylene glycol, which is a petroleum derivative. You can use a crystal deodorant, which comes in many forms, including an actual chunk of alum crystal that you wet before rubbing in your armpit. I haven’t tried The Crystal, but I have tried TCCD’s roll on crystal deodorant, and I really like it. Care 2 has two recipes for making your own deodorant, and I can’t wait to give them a try. The trick to wearing natural deodorant is to put it on IMMEDIATELY after you bathe. Make sure to wash your armpits well, dry them, and put deodorant on before you have a chance to sweat even the tiniest bit. And only wear deodorant when you need to. If you’re out hiking or running or working in the yard, it’s okay to get a little stinky. I feel like I am on a quest to find an effective and healthy deodorant! My husband had to tell me that I was a little stinky while using Kiss My Face deodorant, so I switched to Desert Essence. After reading this blog, I may have to switch again! I would love to know if someone has found the miracle deordorant. Al-please keep us posted on your homemade trials. Sigh. I’ve tried Toms and the crystals, but I just still stink! Maybe it’s just my body type, and my job, but I can’t seem to get off the antiperspirant even though I’m convinced it’s really bad for me. So, if you discover something fabulous, I hope you’ll share! I, too, have had problems with all the healthy deodorants not being strong enough to stop my stink. I sweat more than any woman should, to the point where its almost embarrassing, which makes me feel like I need the antiperspirant, even though I know how bad it is. It’s not fair! Since the very idea of deodorant is unnatural (while stinking is perfectly natural), I wouldn’t be surprised if there simply is not a healthy, natural, and effective way to combat b.o. It takes all those nasty chemicals to get the job done because our body wants to do its thing. But damn if walking around smelling like a locker room doesn’t make you a social pariah. Yeah, natural deodorant isn’t a perfect solution, and I’m not saying it works as well as antiperspirant. I will certainly check back with the baking soda recipe results and I hope anyone else who gives it a try will too. Although I haven’t tried their deoderants yet, I’ve always been happy with LUSH products, and I’m confident they would work. I’ve had success with Tom’s of Maine but the propylene glycol thing bothers me. Kiss my Face didn’t work for me (but I love their other products). I like the idea of the crystal the best, especially considering that you can buy it without packaging, but unfortunately my skin breaks out from it. Oh well. I am amazed at how troubled we all are by smelling like people. I am old(61) so I should be stinkier, nes’ct pas? I use deoderant twice a week because I have it. My wife has never complained and I check regularly. By the way, I use it right after my showers, twice a week. Saves a lotta water! I drink lots of water and lots of coffee, I am a pescatarian and eat fish once or twice a week. Try washing your pits twice a day. Ooh, I’ll have to give Lush a try — thanks, Sherri! Susan — I was upset about the propylene glycol thing too. Tom’s worked pretty well. I’m sorry to hear that the crystal doesn’t work for you. I really like the TCCD roll on, although it’s not without packaging. “Try washing your pits twice a day” — Roger, that’s excellent advice! I tried a couple of the non-crystal natural deodorants and they didn’t work. The crystal does work at blocking odors, though not as well or for as long as conventional deodorants. I put it on immediately after the shower (when armpits are still wet). The only problem is that this can sting if armpits were just shaved. Unfortunately the Tom’s of Maine deodorant I tried made me smell WORSE. Actually, I often go natural (mostly because i’m forgetful) and hardly ever notice a smell, assuming I did shower that morning. But the Tom’s gave me some nasty B.O. – and I wanted so badly to like it! 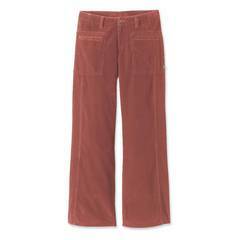 I would love a natch alternative that works! Anti-perspirant is my last bastion of mainstream chems. Is the “alum crystal” kind actually an aluminum salt? I’ve been using plain old baking soda for the past few months, and it works great. Some people use a shaker to sprinkle it on the armpits, but I just put some dry soda on my fingers and rub it on. It keeps me dry and odorless. I’ve heard cornstarch works too, if you get a reaction to the baking soda. Cheap, easy, and totally non-toxic! I love the crystal deodorant. But I don’t have a big sweating problem. Just had to jump in with my comments! I’ve been using a crystal ‘deodorant’ for years now! I have both the ‘stand alone’ version with no packaging and also the one that comes in a container so it looks like a deodorant stick. I like the stick one as it’s easier to control but the biggest trick to using a crystal is to train yourself to use it RIGHT AFTER you step out of the shower! The moisture on your body is then enough to use the crystal without wetting the crystal with more water. The biggest problem that I have with the stand alone crystal is that when wet it is VERY slippery and MORE than one I have dropped it into the sink where it promptly shatters! Boo Hoo!! There goes one of the reasons to buy the crystal … money savings! When I buy a crystal and it DOESN’T break, it usually lasts WAY more than a YEAR before I have to purchase another one. Actually, I think it’s closer to 18 months. So, do not ‘balk’ at the seemingly “expensive” cost of the crystal … you are actually SAVING MONEY because it lasts so long!! Think about how many of the ‘regular’ deodorants that you buy each year and total up the cost! Just a quick look at CVS.COM shows that they cost between $3.29 and $4.99 each. How long do they last? 2-3 months? Even at the low end and lasting 3 months, that’s $13.16 per year on deodorants. A deodorant cystal cost $5.99. For those who sweat more or seem to have more odor while using it, bring it with you and “freshen up” during the day by applying another coating. I also agree with other posters who say ‘drink more water’ as the sweat glands are part of our elimination system and if you’re not eliminating through your digestive system (urine) then it has to come out somewhere! Oh, one more thing, the crystal also works on feet! How long Should You Put On Deoderent.. I use good old fashioned baking soda !! I have an old face powder container and I purchased a new powder “puff”. I dab it in the soda and apply (not too much). I have never had BO using this method. The only time I do not use it is right after shaving because it stings. I layer my crystal (applied first) with a natural deodorant (applied when the first dries). Seems to work better than with just one product alone. I also regrettably tend to use a commercial, but talc free antiperspirant for busy work days and hot dates–no pun intended. Alum crystal may have aluminum in it, I don’t know, but everything that has aluminum isn’t bad for you. It depends on the molecular formula. Chlorine is toxic in gas form and in liquid form, and sodium is extremely reactive with water, but when they chemically bond together it forms table salt, which isn’t poisonous and dissolves in water. I think it’s important when you are being cautious about ingredients not to fall victim to the common mistake of assuming that an element is the same no matter what compound it is in. Elemental properties change with every new compound. A little bit of research goes a long way. i have been dealing with swollen glands under my right armpit for over a year now. about the same amount of time i have been using kiss my face roll on rock deodorant. i looked into the possibility of it being my deodorant a few times before, but couldn’t find any concrete evidence. i have experimented with leaving the right armpit bare for a couple of weeks (for some reason that one doesn’t get too stinky anyway). but i always get antsy, think it’s in my head, get paranoid i’m going to stink and start up again. i’m addicted to this stuff. i searched for a “natural” deodorant for years and was floored when this one worked so good. i loved this stuff so much i bought it for my friends. so when the swollen lymph thing started i came up with every excuse in the book to let my new hippy friend off. but, it was faking me like a trustafarian the whole time. dumb hippy deodorant. i thought you could help me see the “natural” way of living. turns out your just doing the same thing every one else is doing. to be fair, i don’t really know this swollen lymph problem is your fault. but i’m not going to buy into your poop anymore. i have found the strength to just go natural. stink and all. like a real hippy. but i don’t care. i’m still going to quit anyway. i still think it’s possible something in it is bothering me. Hi, everyone! I too have found that natural deodorants don’t always work at keeping back the smell. I’ve been using something for the past year that costs about $1.00 and can be found in just about anyone’s kitchen. Baking soda! It has been a miracle worker in keeping me fresh. You can either mix a little with some water to make a paste, or what I’ve found works great is to first apply a gel (I use Jason Tea Tree Soothing Gel) to the armpit and brush on the baking soda with an old makeup brush or puff. I’m telling you, it works!!! Try it. You’ll still sweat like you would with wearing deodorant but you won’t smell. It’s amazing! I just started using a natural deodorant. Usually when I go without deodorant I smell fine, I really don’t sweat at all unless I’m extremely hot and its very humid. But I decided to get one to replace when I do occasionally use it and it actually made me smell worse then I normally ever would. It was really weird and disappointing. I stopped wearing deodorant after reading how bad most of the common ingredients are for the body. I opted for a baking soda/cornstarch mixture instead. This holds up for a while, but not for a whole day, especially if I’m nervous. My boss told me today that I need to wear deodorant because of my odor. Why is it that people would prefer you to use a fake fragrance and dangerous substance rather than smelling like a person? I use the crystal stick or when i’m being lazy I buy Tom’s of Maine crystal Confidence. I’ve found that if I just use the crystal it works for maybe an hour at most and of course you still sweat. Someone suggested using hydrosol water. (ROSE WATER)I’ve found that Shea Terra Organics Pure Moroccan Rose Water works the best. You can buy it on amazon. Anyway right after you shower take a cotton ball with the rosewater on it. 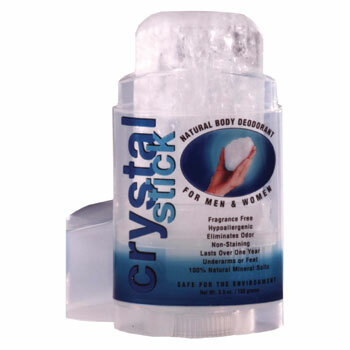 wipe your under arms or feel then wipe on the wet crystal deodorant. This stuff lasts all day and all night long without having to reapply. the Rose water is like $9 but you only need a drop per arm and the crystal lasts for like a year and it only costs maybe $3 at walmart. its well worth it to be odor free. I’ve also purchased rosewater on ebay from Bulgaria it works just as well. The rose water they sell in the stores is mainly for cooking and usually isn’t for this purpose. Plus if you take baths just put a few drops of the hydrosol water in the bath and it helps deodorize the skin. Some people just wear the rose water as their deodorant. and the fragrance fades after a minute or too. (Heritage store)that you can purchase at most health stores. its a 12oz spray bottle and it gets the job done then you put on that crystal deodorant. It seems that these all natural products are worth it even though you might still sweat you aren’t poisoning your body. Mix it together, and it makes a cream. I rub this into my skin every 12 hours, and I’m good to go! Face it. we are just too accustomed to being perfumed and sweet smellling. Americans bathe too often. not a bad thing really, but the rest of the world doesn’t, and they stink ( to us). for themselves they all smell the same. NORMAL. Diet has a lot to do with body odor as well. lots of garlic and onion, alcohol, coffee and cigarrets, all contribute to BO- in Venezuela we use baking soda with lemon to rub on armpits. keeps them from getting darker too. also, since so many people work in offices and do not sweat that much, use deodorant on alternate days. i don’t use it on weekends at all. i gave up antipersperants when they linked it to breast cancer. I make and use a cream deodorant called purelygreat. It is made from baking soda,cornstarch,vegetable glycerin and essential oils. it works for me. I like the women’s citrus.